Home Fashion A 7 Day Outfit Challenge You Need To Try! 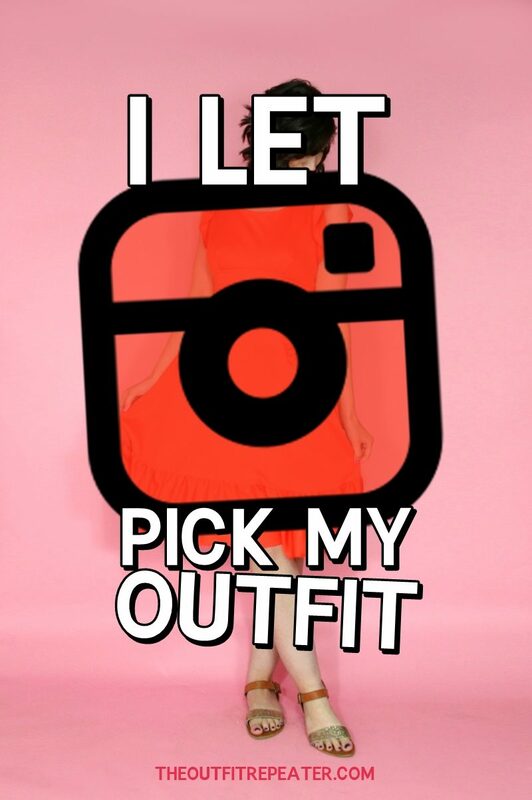 I will not rest until the whole world is covered with Outfit Repeaters. 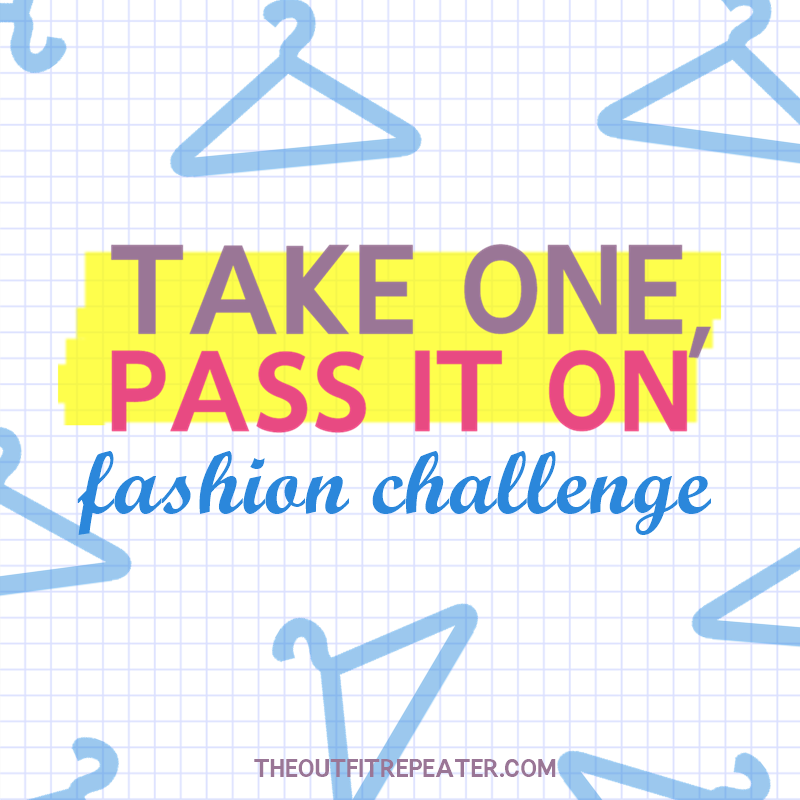 No, but seriously, I love the the Take One, Pass One outfit challenge created by Sarah of Sarah’s Real Life. I participated in it last year and enjoyed it so much that I’m back to do it again! So how do you do it? 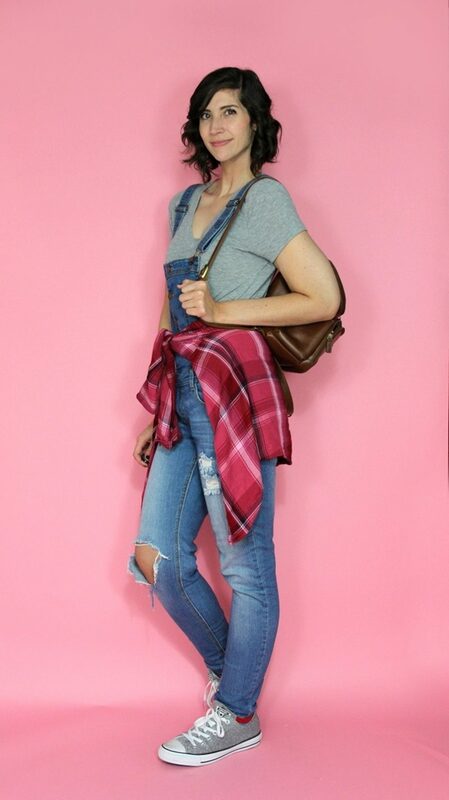 You take one item of clothing from your outfit and re-style it the next day. You continue doing that until you’re a mix’n’match pro! Want to see it in action? Watch my video below and then keep scrolling for outfit pictures and links to shop for similar clothes! 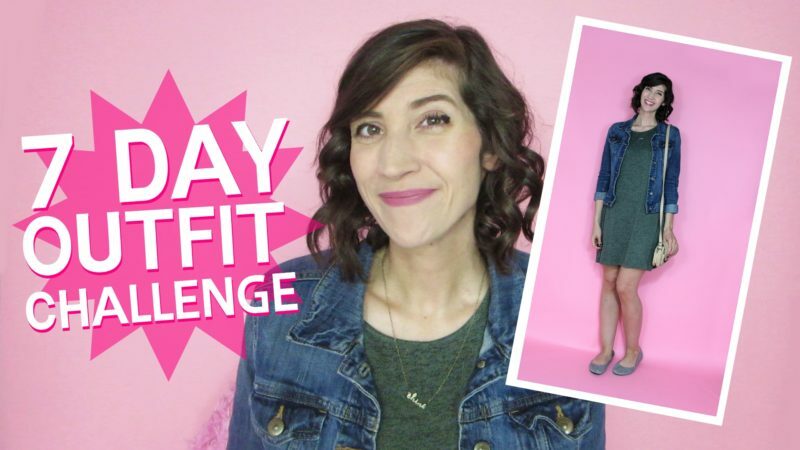 I kicked off this challenge by asking my Patreon supporters to pick a recently thrifted clothing item. They chose the wide leg pants from my August thrift haul video and thus my first outfit was born. 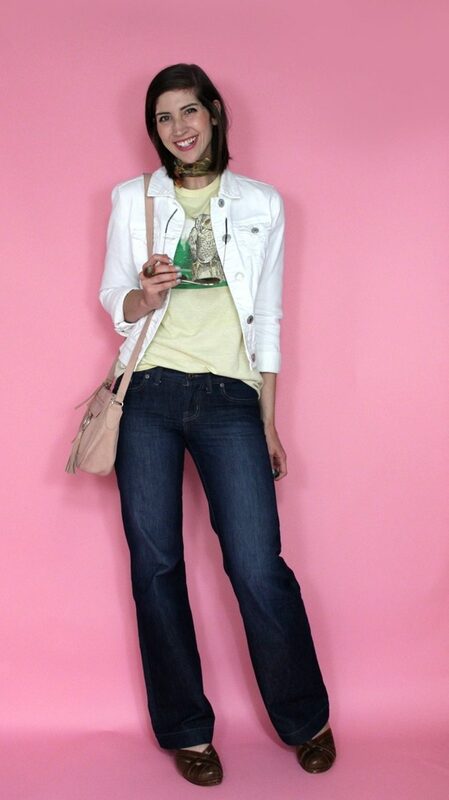 I played with ’70s vibes and wore a vintage graphic tee, white denim jacket, thrifted brown platform shoes, and neutral accessories. This was a great outfit for a family lunch & evening play practice. I definitely felt cooler than I really am! I don’t give a hoot about wearing the same clothes two days in a row so I chose to restyle my vintage owl t-shirt with jeans (again) but switched it up with a light cardigan and tan booties for a day of shopping & lunch with my mom. Does anything look familiar? I took the black high rise jeans from Monday and wore them again on Tuesday. 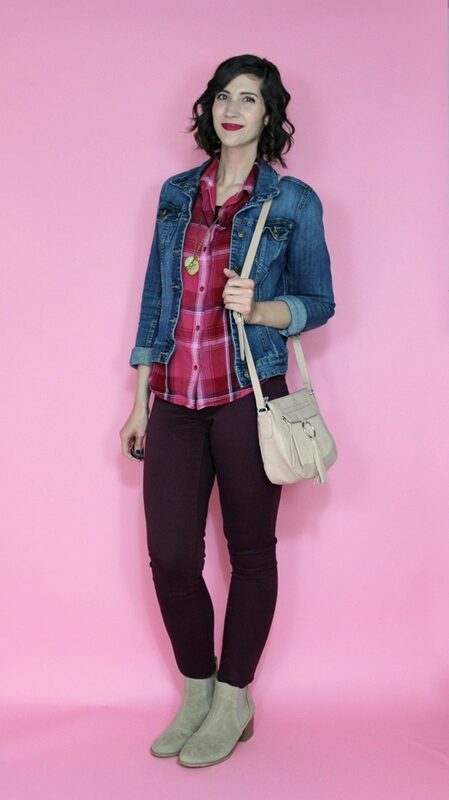 This time I styled them with a pink crop top, denim jacket, and flats for running errands and play practice. Wednesday didn’t go as planned but at least I had part of my outfit picked out. For working my short shift at Maurices, I wore my new booties and jeggings I just bought there, a plaid button up, dark lipstick, and re-styled my denim jacket from the day before. Uh oh.. on Friday I broke the challenge. 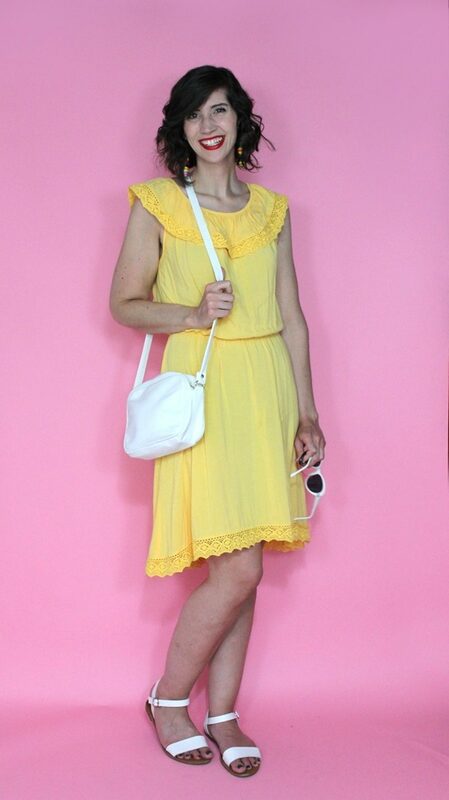 I already had my heart set on wearing this yellow dress to the Cheese Days Festival in Monroe, WI and there was nothing from the day before that it matched. I just went full force styling it with rainbow earrings, red lipstick, and simple white sandals. It was too hot for anything else! 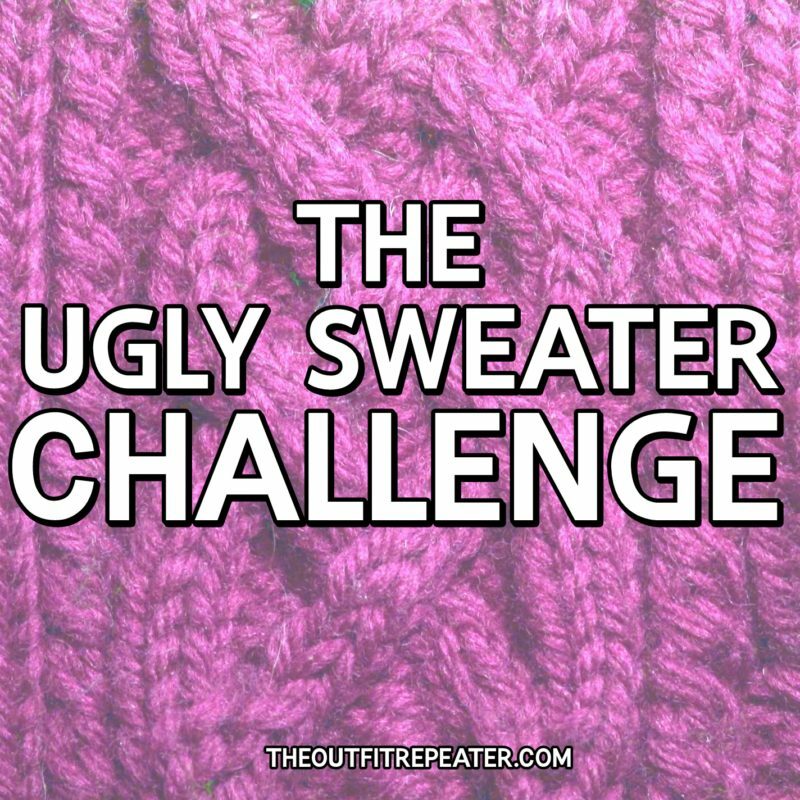 I tried to redeem the challenge on Friday night when I worked a shift at Maurices and then went to a big concert that my brother’s band was playing at. My outfit turned into a mish-mash of different things I wore this week which included a gray tee, plum colored jeggings, and the plaid top wrapped around my waist. It kind of rocks, right? As much fun as I had with this challenge, I was happy it was over with on Saturday. My final outfit really had no connection to the challenge other than the denim jacket. I wore it for a shift at Maurices and may or may not have napped in the dress before it was so comfortable. 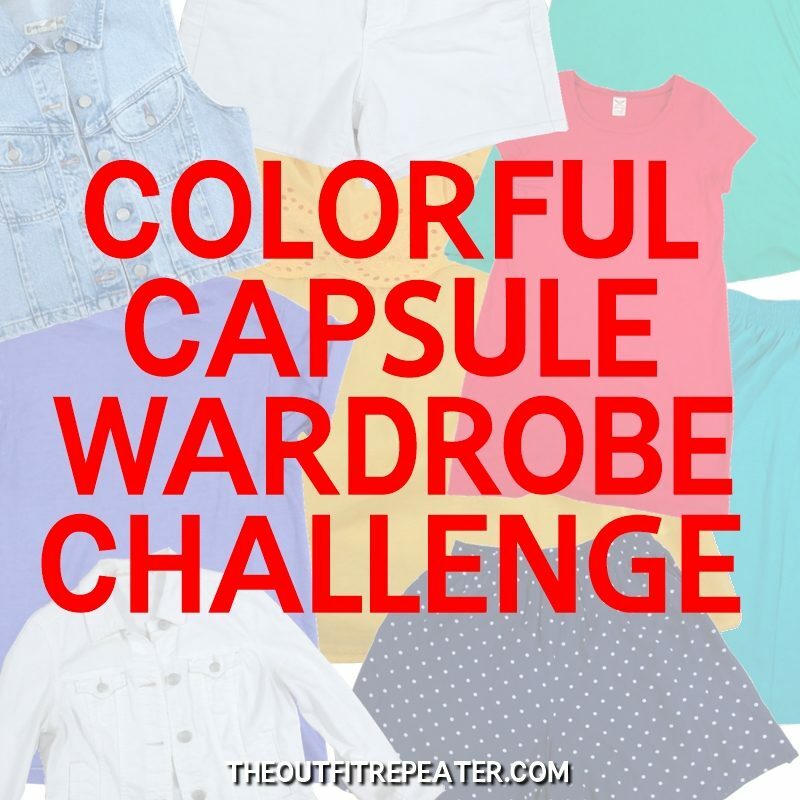 I would love for you to take this challenge! Post your pics on Instagram and tag me (@hannah_rupp) and I’ll post my faves in my Stories! What day was your favorite outfit? Are you going to take this challenge?